The large protected valley in front of you is the Grand Parade. Extending from where you are standing to the ridge almost a mile away, it served as the centerpiece of camp. 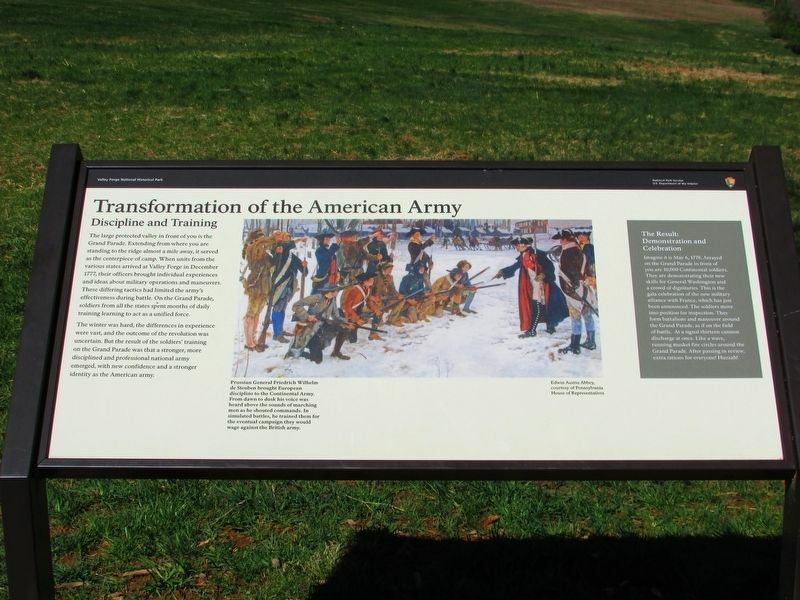 When units from the various states arrived at Valley Forge in December 1777, their officers brought individual experiences and ideas about military operations and maneuvers. These differing tactics had limited the army’s effectiveness during battle. On the Grand Parade, soldiers from all the states spent months of daily training learning to act as a unified force. The winter was hard, the differences in experience were vast, and the outcome of the revolution was uncertain. But the result of the soldiers’ training on the Grand Parade was that a stronger, more disciplined and professional national army emerged, with new confidence and a stronger identity as the American army. celebration of the new military alliance with France, which has just been announced. The soldiers move into position for inspection. They form battalions and maneuver around the Grand Parade, as if on the field of battle. At a signal thirteen cannon discharge at once. Like a wave, running muskets fire circles around the Grand Parade. After passing in review, extra rations for everyone. Huzzah! Location. 40° 5.825′ N, 75° 25.58′ W. Marker is in King of Prussia, Pennsylvania, in Montgomery County. Marker is on North Outer Line Drive, on the right when traveling east. Touch for map. 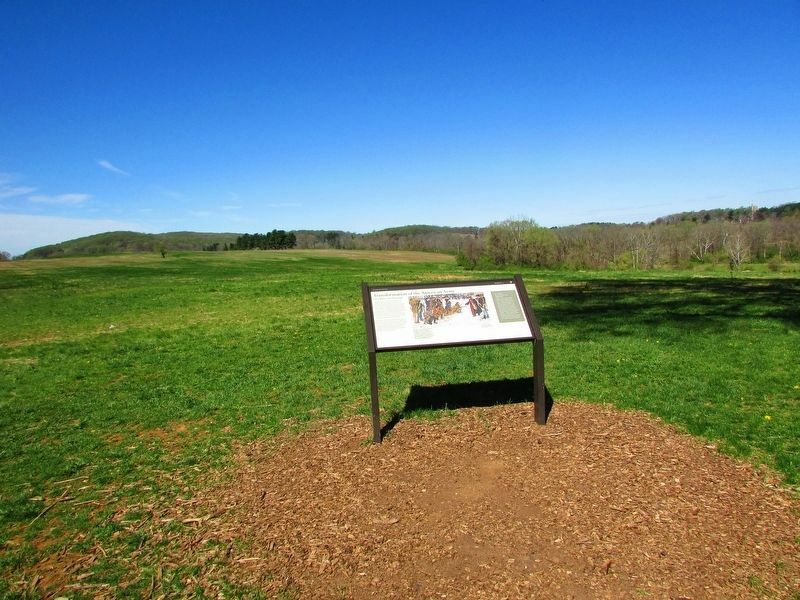 Marker is in Valley Forge National Historical Park at Stop 2 on the auto tour road. Marker is in this post office area: King of Prussia PA 19406, United States of America. Touch for directions. Other nearby markers. At least 8 other markers are within walking distance of this marker. 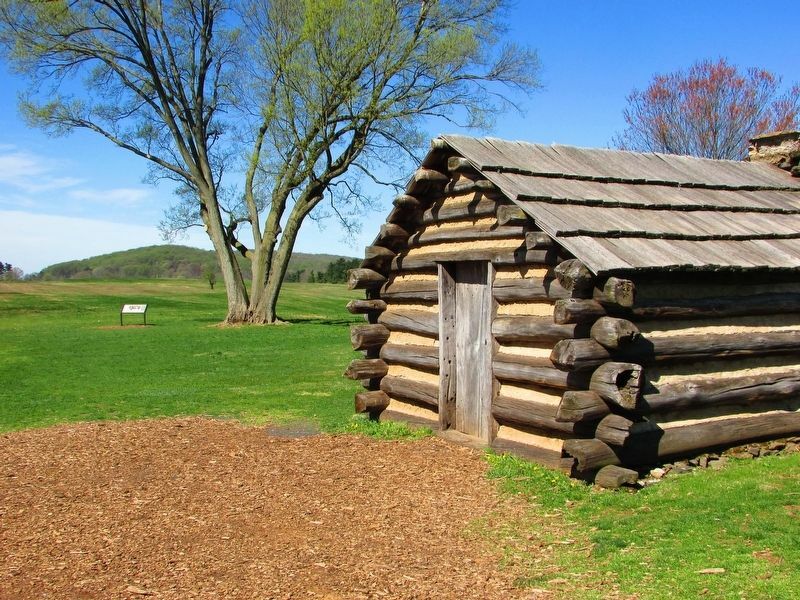 Soldiers’ Huts (within shouting distance of this marker); Greene’s Division (within shouting distance of this marker); A City of Huts (about 300 feet away, measured in a direct line); Log City (about 300 feet away); Winter Encampment (about 300 feet away); On the Lookout (about 700 feet away); Advance Redoubt (about 700 feet away); Are the British Coming? (about 700 feet away). Touch for a list and map of all markers in King of Prussia. 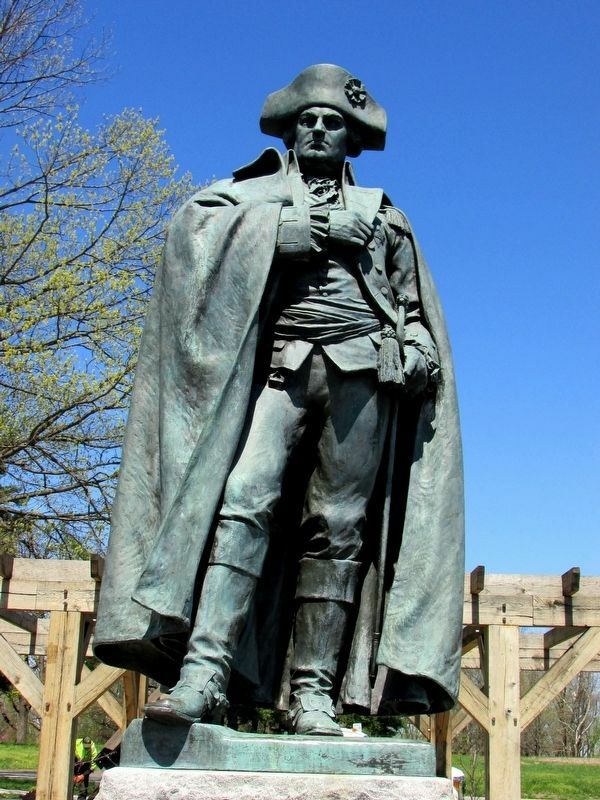 This statue of drillmaster Baron von Steuben is located on the opposite side of the Grand Parade. More. Search the internet for Transformation of the American Army. Credits. This page was last revised on April 16, 2019. This page originally submitted on April 16, 2019, by Bill Coughlin of North Arlington, New Jersey. This page has been viewed 37 times since then. Photos: 1, 2, 3, 4. submitted on April 16, 2019, by Bill Coughlin of North Arlington, New Jersey.